A YOUNG man pitched up at Edge Hill College in Ormskirk in 1979 with the trifecta of cultural high points of the 80s, leggings, David Hasselhoff and Haircut 100 a heartbeat away but as yet unimagined. Within seven years he was to see one of the first gigs by The Smiths and be rescued from a life teaching English and Sociology at Skelmersdale College by the NME which whisked him around the world interviewing independent music’s luminaries, including INXS. Stuart Maconie returned tonight to Edge Hill to help celebrate the now university’s 125th anniversary for a thoroughly enjoyable lecture. It was essentially a pimped-up reading session by one of Britain’s biggest selling travel writers, but no less entertaining for it. Interspersing a hitherto unseen talent for stand-up style raconteurship with reading extracts from his three books, ‘Cider With Roadies', ‘Pies & Prejudice’ and ‘Adventures on the High Teas,’ he affectionately recounted his life as a student and then indulged in the deep love of England which has been the focus of his literary output. There’s no ‘Big I Am’ about Maconie, a writer and broadcaster of some considerable stature, he has a lovely problem with the definitions of his work. As he said, although ‘Cider with...’ is stacked in autobiography he had to move it back in a shop recently because he was ashamed it was shelved alphabetically beside Nelson Mandela’s. 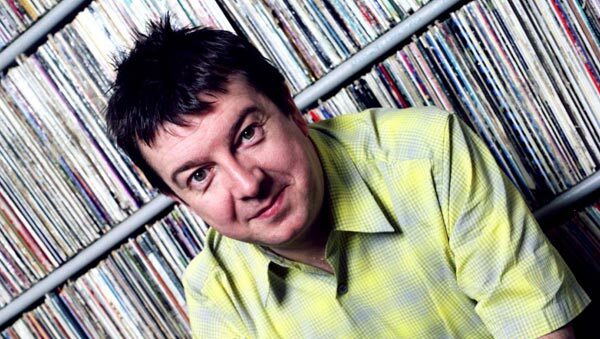 Maconie, as befitting a man whose favourite gig is still The Smiths at Edge Hill Students’ Union in 1983, is in love with the nostalgic and unthreatening minutiae of British life. He loves half day closing, regional foodstuffs and deeply held love of place and people. His patriotism is not that of bigotry and slagging off immigrants, his Englishness is one of civic pride and love of people and place. Recounting a phone call from his mum during his first week as a freelancer after leaving the NME, when she asked what he had done, he told her he had written a piece for the Observer, “What, the Wigan Observer?” she proudly inquired. The kind of love of ‘nostalgic’ Britain, which inspired him to help invent those still de rigeur ‘I Love the...’ talking heads TV shows, allows him to shine a light into England of recent past and say much about what he sees wrong with that of the present. But, he is fully aware of the fact that the Englands of the past he so loves have a different resonance in the modern world. While the first Joy Division album, he says, sounded like Manchester of 1978 - of tyres under rainy overpasses and dodgy lifts in Hulme high rises - Manchester has changed, now it’s all skinny de-caff lattes and loft apartments. For Maconie, Englishness is Orwell and the non-jingoistic Kipling. It’s the Wigan Casino Northern Soul club and The Smiths and Echo and the Bunnymen and Radiohead, it's Nick Drake and Pink Floyd. Thomas would die soon after in World War One. For Maconie, these artists’ England is wistful, elegiac and ‘mustn’t grumble'. Today's Britain, he says, might benefit from a slice of the stoic, pent-up melancholia of Celia Johnson in ‘Brief Enounter'. Even as an Irishman, Blake’s ‘Jerusalem’ soared in my heart - the Billy Bragg version, mind. nice account of a very enjoyable evening. what a funny guy he is. Another great piece, Paddy. Always respected Maconie's stuff in the NME, and Pies and Prejudice is probably my favourite recent read. I'll now Amazon the others you mention. Cheers, Dave and gonzopix. In the live environment he's better than some stand-ups I have seen. I'd quite like to TV versions of Pies and High Teas. That was dead nice, Paddy, and I am of course immensely jealous I wasn't there myself. Maconie once wrote to me when I was in Alabama. He always seemed like a sound, down-to-earth lad. I'm proud to have two out of the three of his books on my shelves. Cider with Roadie and Pies and Prejudice are two of my favourite book titles ever. Also loved Pies and Prejudice. His reminiscing of Skem is both funny and heartfelt. A really great piece Paddy. I have all three books but my heart belongs to 'Cider with': anything that puts my little home village, Shevington, on the map has got to be priceless. Also, I too, have arrived back to a rainy Lancastrian landscape aka Wigan Wallgate station but felt so happy to be within a 365 bus-ride of home. Currently, as an expat in Guernsey homesick for the Beautiful North, Stuart's books are like finding a 'red cross' parcel from my mum on the doorstep: alway a surprise and all wrapped up as a heartwarming little piece of home. These days Mr Mac is not just a Northern but a national treasure. No pressure there then, Paddy. So well done for doing him justice.